Rediscover genuine country tastes in a stuffed pasta recipe featuring sophisticated combinations and the delicate yet intense fragrance of truffle flavoured EVO oil. Prepare the stuffing by combining all the ingredients in a bowl. Pour into a pastry bag and set aside. Mix the pasta dough ingredients in the normal way and leave it to stand for at least thirty minutes. Roll out very thin strips 5 cm wide, add dots of stuffing 1.5 cm apart, fold and cut with a pastry crimper into the traditional agnolotti shape. 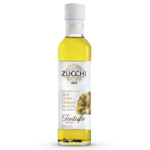 Make the truffle sauce by pouring all the ingredients except the egg yolks into a saucepan, bring to the boil and cook over low heat until the shallot is cooked; add the egg yolks and blend. Pour the liquid into a whipping siphon and fit two cartridges. 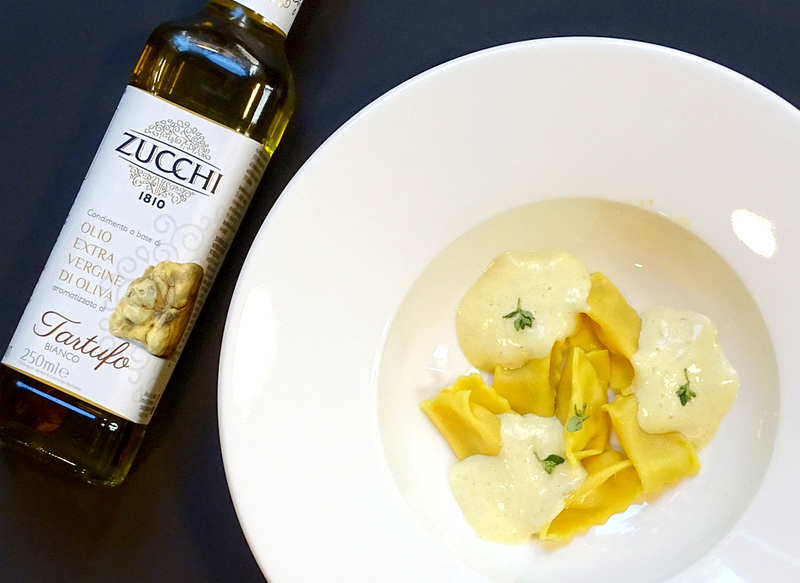 Boil the agnolotti in boiling water, drain them and dress with a dribble of Zucchi white truffle flavoured extra virgin olive oil. Transfer to the serving dish and add the truffle foam. 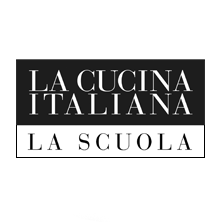 The first culinary school came from the Magazine, in Milan.